Something drew me to the Bonsai stand and halted me literally as I was about to leave the event – this guy – dressed more for pruning than presenting, perhaps. Whether he was ‘intentionally’ dressed like that or there or just filling in for someone off having a break I have no idea. Either way I owe a lot to that green sweater because boy am I glad I tried this! 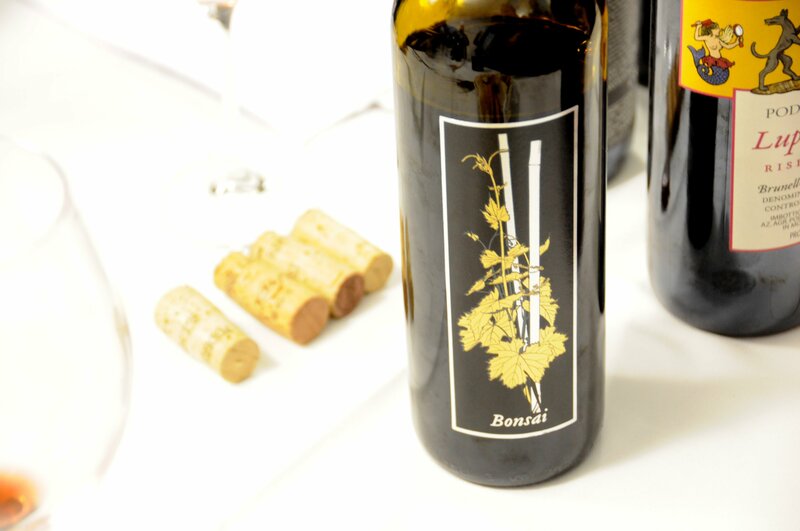 I tried 3 wines at Podere Le Ripi’s stand – but if I have to pick only one Bonsai is it. Podere Le Ripi and especially Bonsai have a very interesting story. As an artist I am confident that a story will always influence taste and therefore the openness / opinion of the audience somewhat, this is certainly true enjoying and buying art and knowing the artist. However on this occasion I approached with ignorance and this tasting was therefore truly ‘blind’ and this is why I rate this winery so highly. 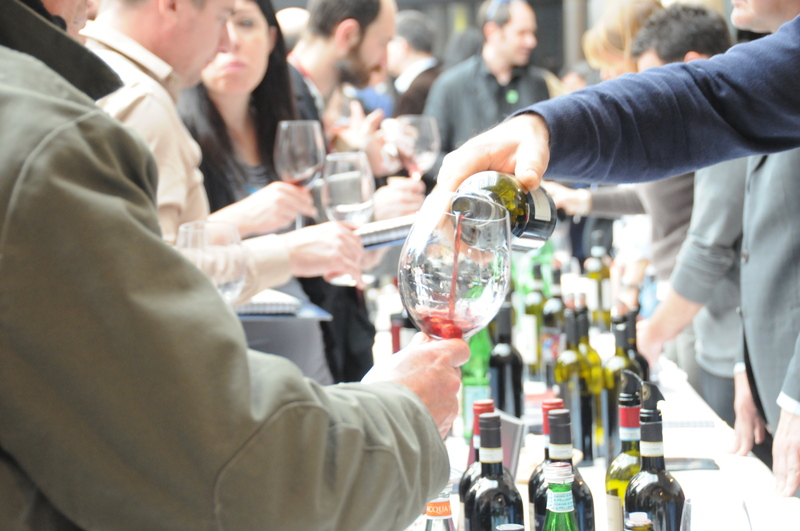 #2 Poggio Antico’s wines we know and love, they are always so classy. 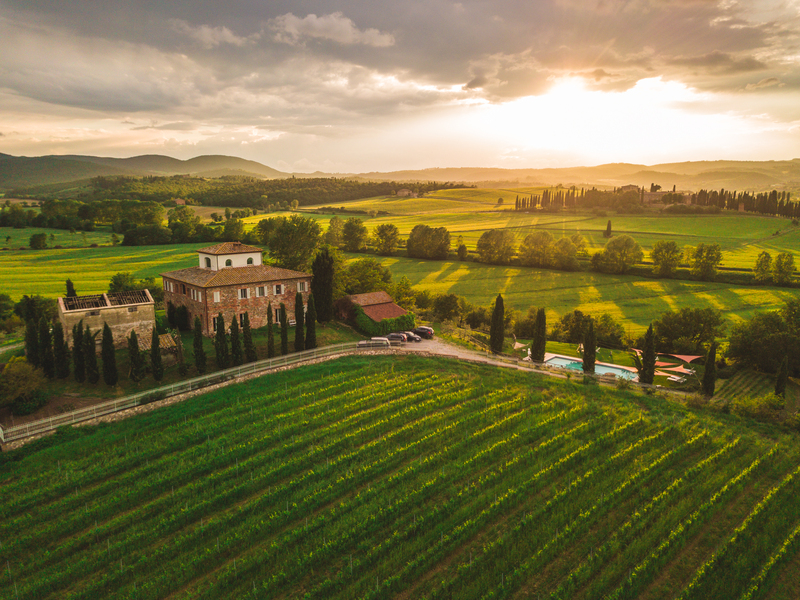 The Brunello 2009 was perfect. 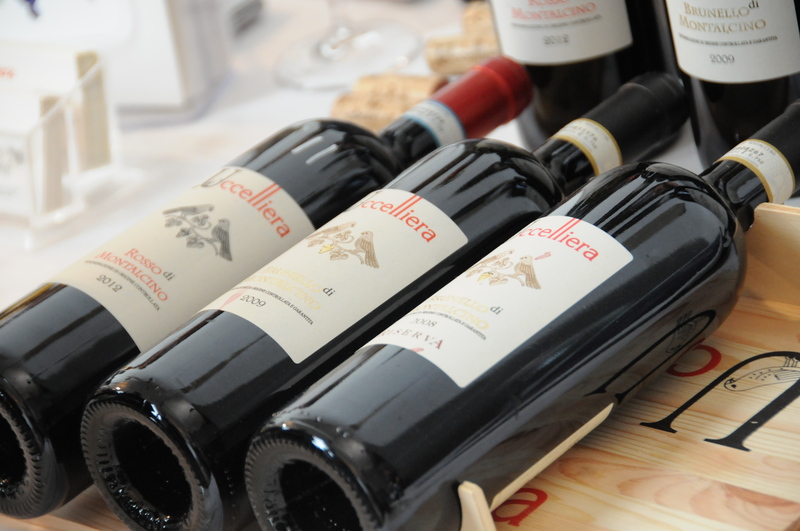 #3 Uccelliera’s Brunello 2009 was a very big wine (Rosso 2012 was smooth but also had tons of character). 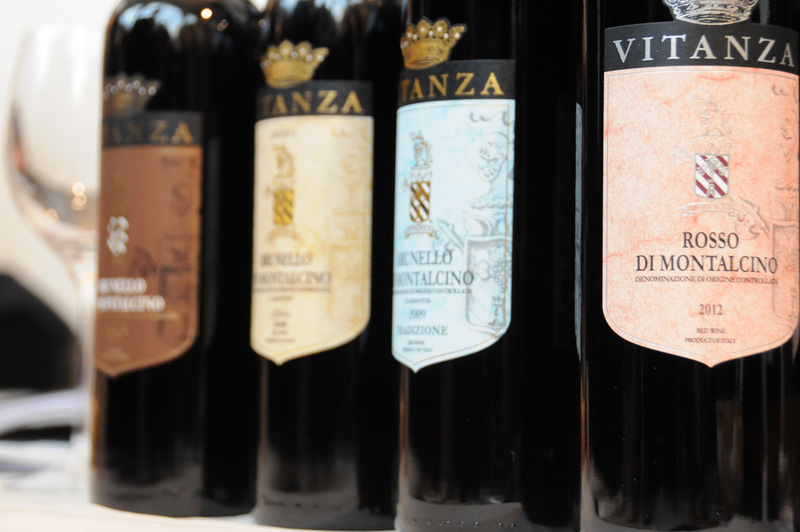 #4 Tenuta Vitanza’s Brunello ‘Tradizione’ 2009 was really super but their ‘Rosso’ di Montalcino 2012 exceptional and within the top 3 Rosso’s we tried. #5 Tenuta Silvio Nardi’s Rosso di Montalcino was amongst our favorites of the younger feeling Rosso’s, their Moscadello was balsamic. #6 Poggio di Sotto’s Brunello 2009 was spirited but refined, really something. #8 Sesti’s Rosso was fab with it’s bay and mineral, waxy feel, really drinkable, the Brunello 2009 rich and earthy and very very good. 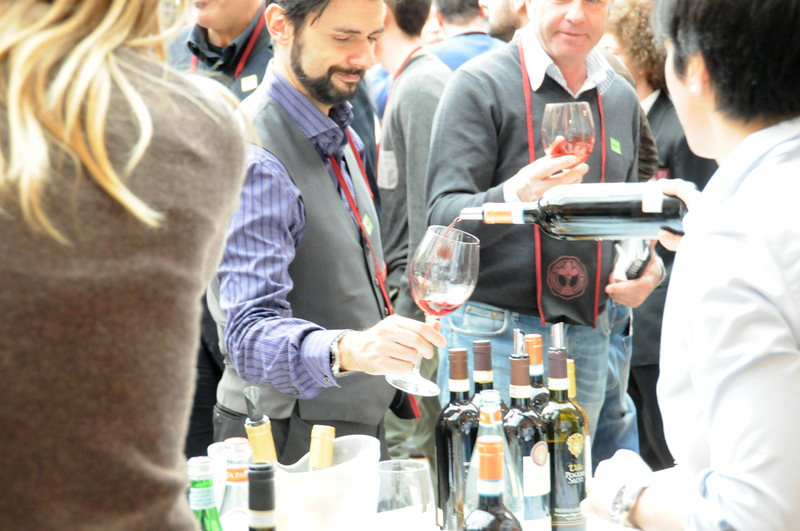 #9 San Giorgio’s Brunello 2009 ‘Ugolforte’ – was a hit, we also liked their Grappa. #10 Villa a Tolli’s 2012 Rosso was very easy drinking and the Brunello 2009 quietly fabulous. But it did not stop there. Vasco Sassetti, recommended ‘as being well worth a try’ by a friendly buyer, gave food for thought. Le Potazzine’s wines were (as usual) just darn good. 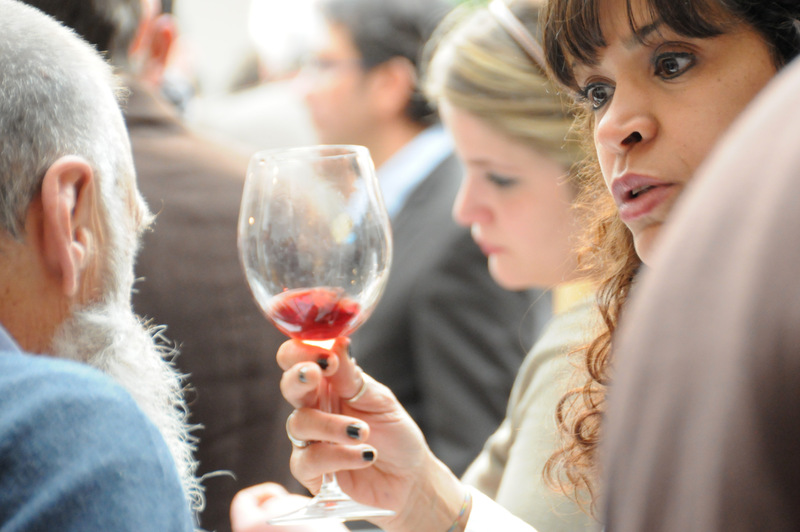 Verbena’s Rosso and Brunello had big Ruby colours and flavours and a very friendly nose. 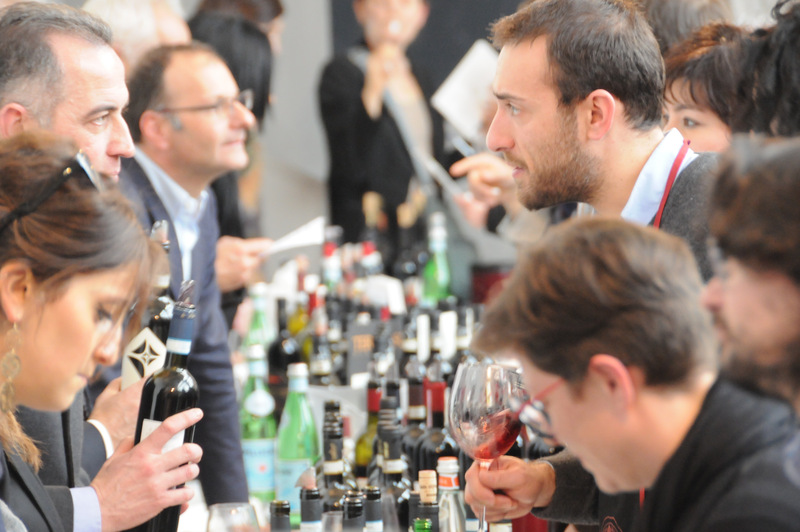 Sesta di Sopra’s toasty Rosso was a winner for us – and their small production Riserva 2008 was really super. 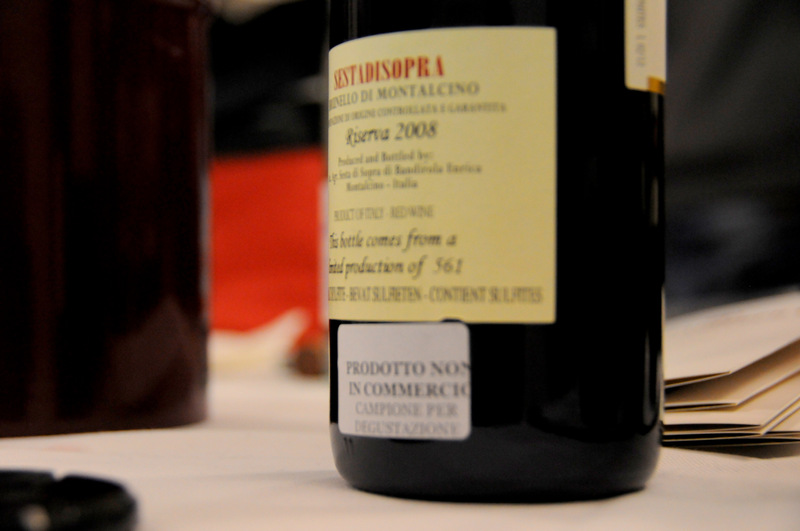 Scopone’s 2009 was reserved and serious with a spirited finish. 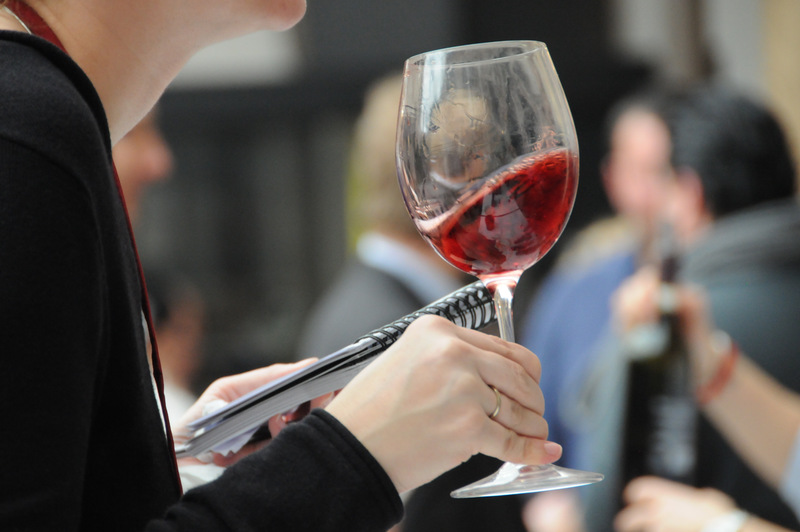 Sasso di Sole’s Rosso was earthy and uplifting with it’s mossy nose and honeyed, fruity notes. San Lorenzo’s Rosso 2011 was really, really good and one we will return to. Salvioni’s 2009 was one of those more restrained and quietly super. Pietroso’s Rosso 2012 was spicy, exotic and round. 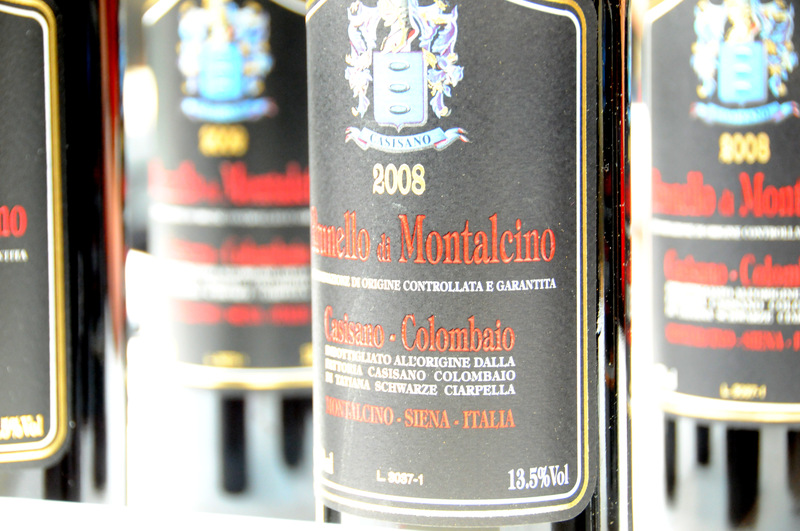 Canalicchio’s Brunello 2009 elegant and memorable and one we will come back to. Madonna Nera’s Brunello 2009 would be the perfect partner for a perfectly cooked T bone steak. Il Marroneto’s wines were big character & engaging. Il Palazzone’s Brunello 2009 was super. Another one to return to – and a pleasure to meet the maker – Col Di Lamo. Cave di Onice’s Rosso 2012 was very easy drinking, the Brunello was fruity but elegant and serious. Casisano Colombaio is another we will return to. Brunello 2009 smooth in the mouth, opening to toasty dark fruit.